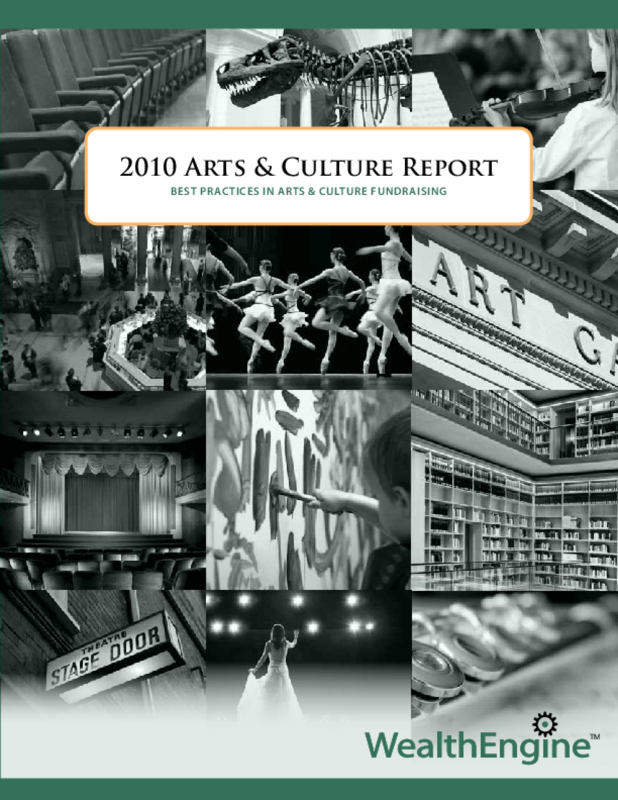 Report outlines seven best practices in arts and culture fundraising and also illustrates how several high performing organizations are putting these into action. Gives an overview of the arts market and fundraising landscape. Appendices include worksheets for wealth screening (gifts and prospect/portfolio analysis), and a sample prospect tracking form. Copyright 2010 by WealthEngine. All rights reserved.